Fear the Walking Dead, much like its parent series The Walking Dead, keeps audiences riveted from week to week with an incredible ensemble cast, exciting, twisting storylines, and a high production value. To raise the bar in season 2, production added a new tool to its arsenal, DJI’s Inspire 1 Pro. 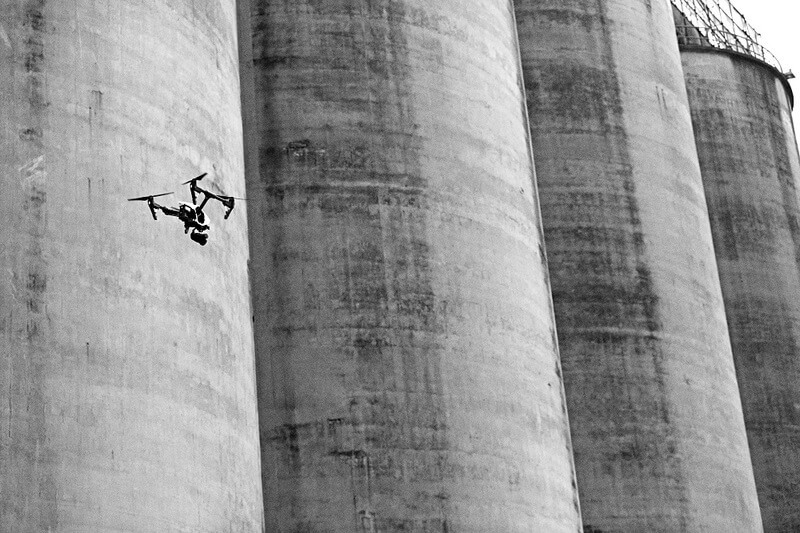 As told in a behind-the-scenes segment on AMC.com, the Inspire 1 was used to provide a unique perspective in two ways. First, it was used with a zoom lens to create a binocular’s view from the sea, and second, it was used for sweeping aerial shots over sand dunes. “Patrick [Cady], our main unit director of photography, (came) up with the idea of putting a long telephoto lens on the drone and flying it out to sea and then looking back (to show) the POV of somebody with binoculars on the boat,” explains Aerial Director of Photography, Michael FitzMaurice. While long lenses generally can create balance issues on aerial platforms, the Inspire 1 can utilize a compatible zoom lens when changes in focal length are desirable. This added flexibility can make all the difference when trying to accomplish a director’s unique vision. The production also utilized the drone for aerial shots to set the scene and provide a dramatic perspective. “We were able to fly up to the top of ridge and see deep mountains in the background and create…movement, where the foreground stays in place, (and) the background is moving around as the zombies are coming over the ridge,” said FitzMaurice. These types of shots add a real cinematic quality to television, which is incredibly important for series like Fear the Walking Dead and other popular shows like Game of Thrones. Usage cases like these are becoming common. With DJI’s stream of innovative, new professional products, most recently the M600/Ronin-MX combo, which will carry a Red or Alexa mini camera, new productions will likely use new solutions like those from DJI more than ever to accomplish astonishing shots. “As a cinematographer I think about what are the most dramatic angles, the angles that make you feel really connected to the story as much as possible,” said Cady. Thanks to groundbreaking companies like DJI, dramatic angles may soon only be limited by the imagination. This is just another example of how drones are revolutionizing TV productions, with more flexible tools than ever before opening up creative possibilities for professionals everywhere.